Delhi, the capital city of India, has a rich history. The city is full of fascinating mosques, forts and monuments left by the Mughal leaders who once catered the city. The contrast between the Old Delhi and as hiking well planned New Delhi is immense, and interestingly to pass the time exploring both. If you find you need some easing, just head over to one of the flourishing gardens of Delhi. 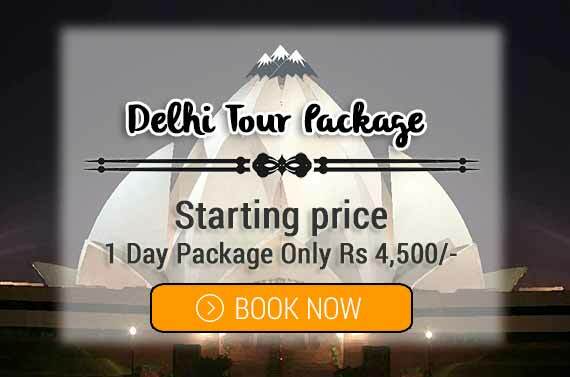 For Packages Bookings : For Delhi Tour Packages booking kindly send us an e-mail with package required , booking dates & your mobile number. If you have any doubt or query please contact us contact@mehultravels.com or call us at 09269678524 and get instant response for Tour Packages in Delhi – Mehul Travels.